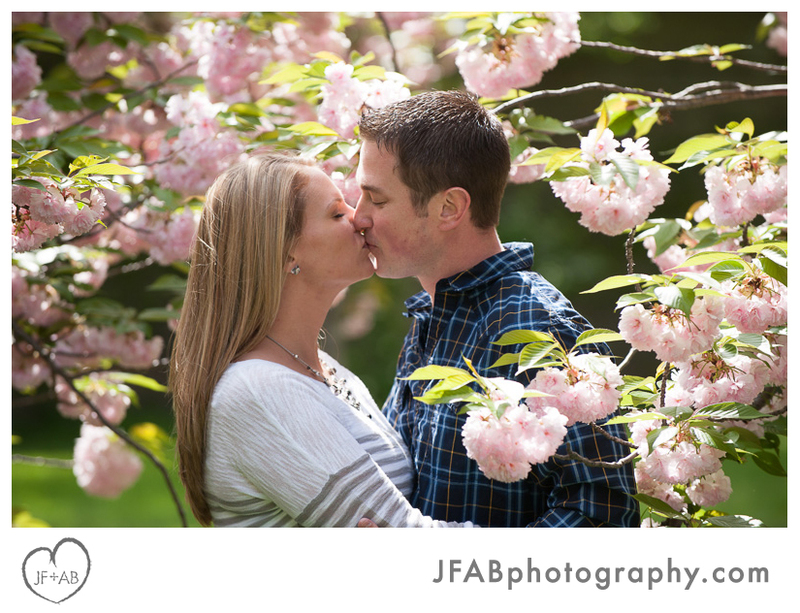 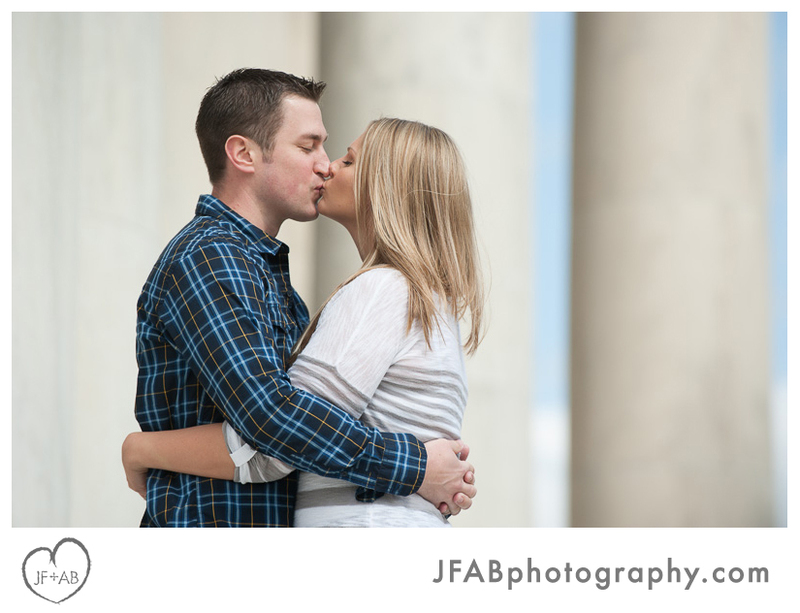 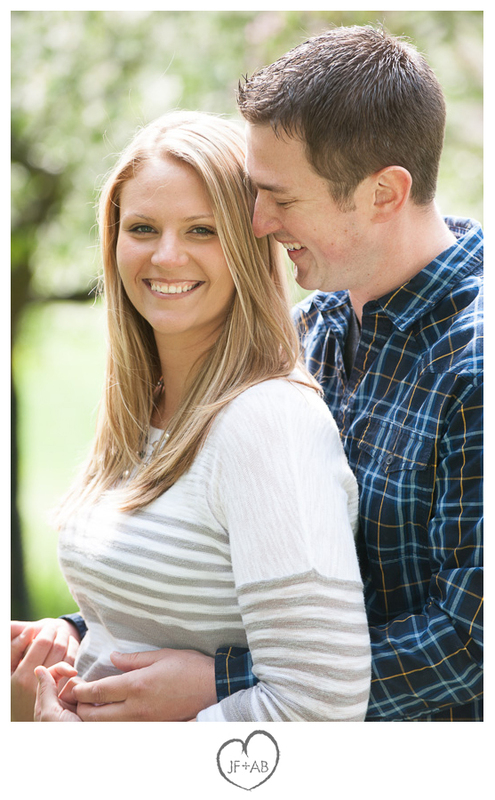 JF + AB Photography Blog: Michelle and Brett | Engaged! 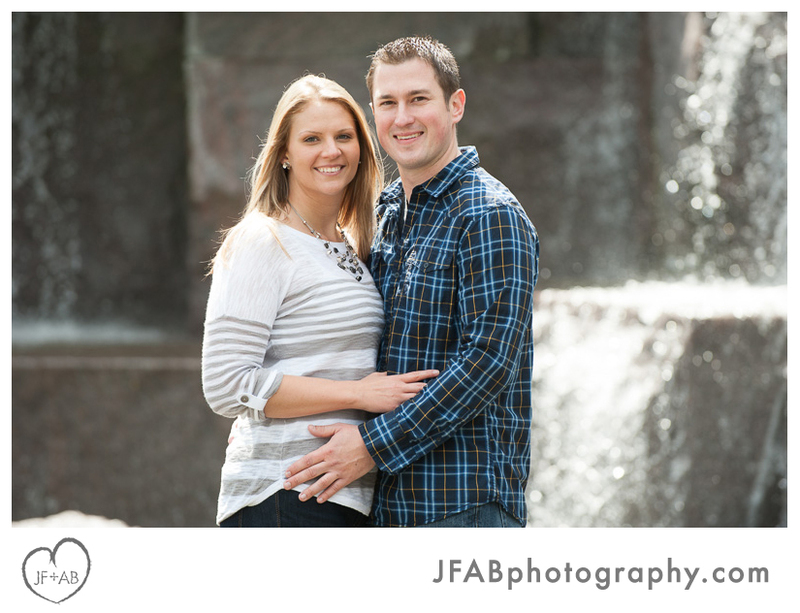 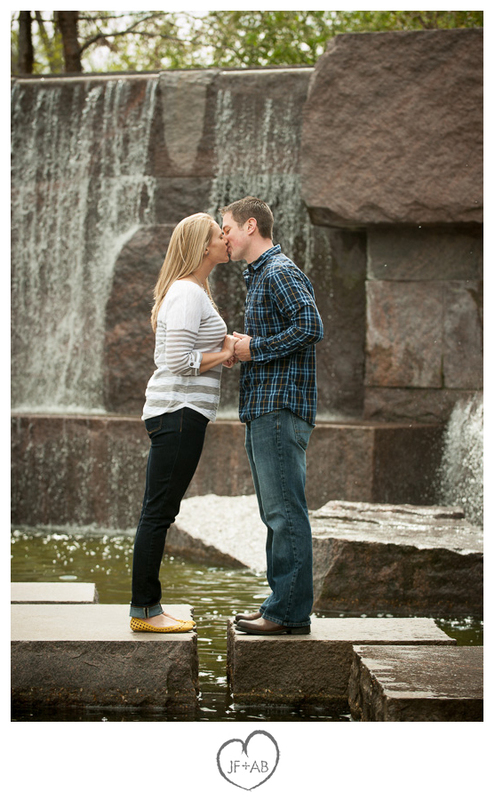 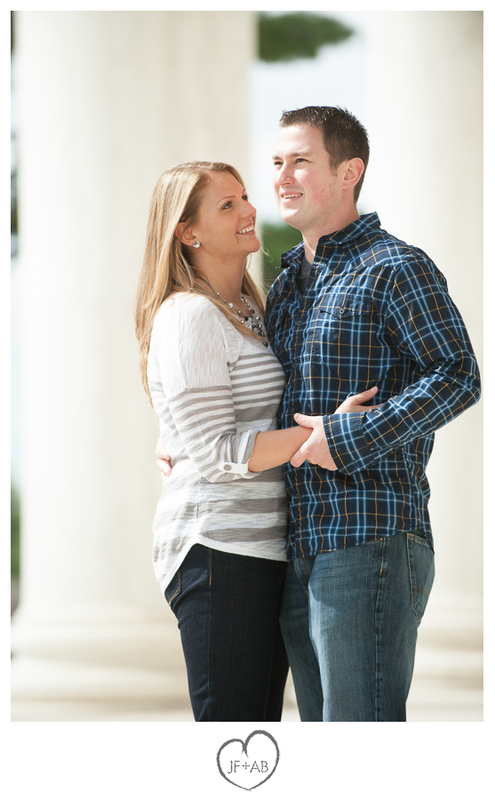 Michelle and Brett | Engaged! 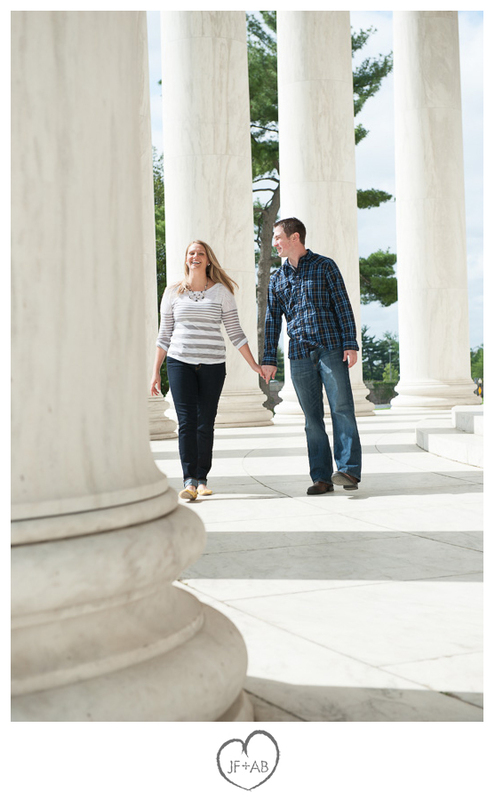 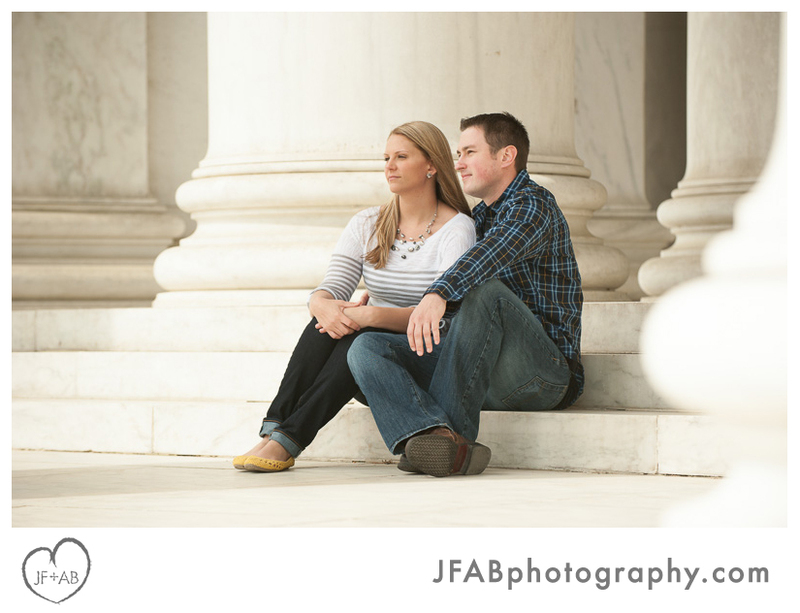 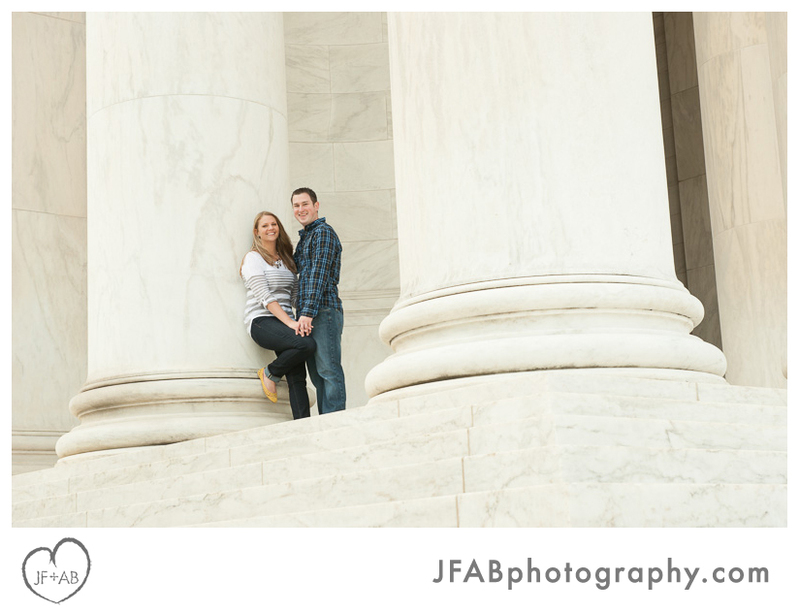 I met Michelle and Brett at their favorite coffee shop in Arlington and we hopped in their car for a trip across the river to a very fun portrait session at the Jefferson Memorial. 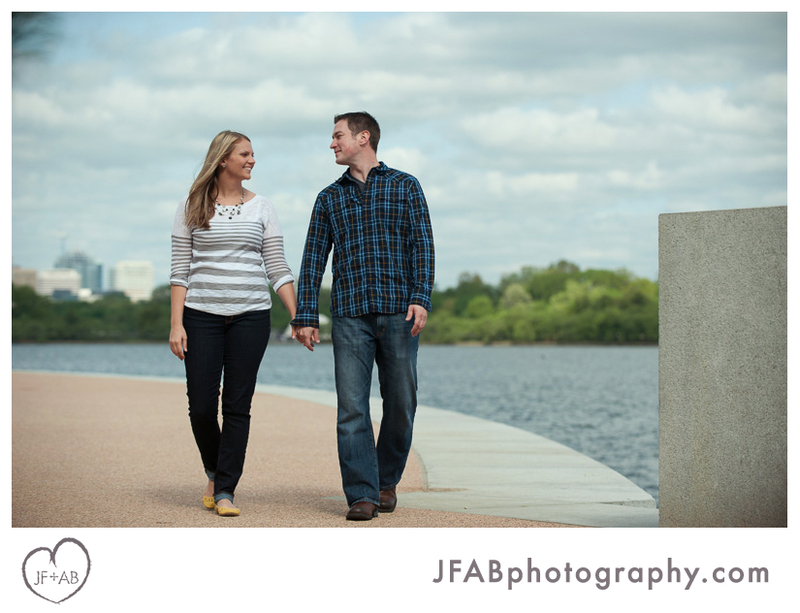 We chatted in the car about their wedding plans, DC, photography, music, etc... due to traffic it took about half an hour to get across the river. 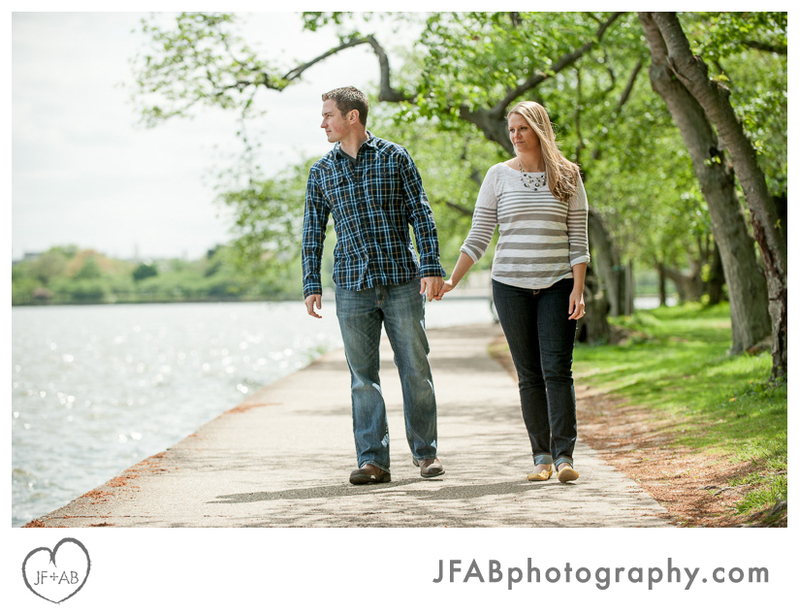 The light and the weather were very pleasant that morning. 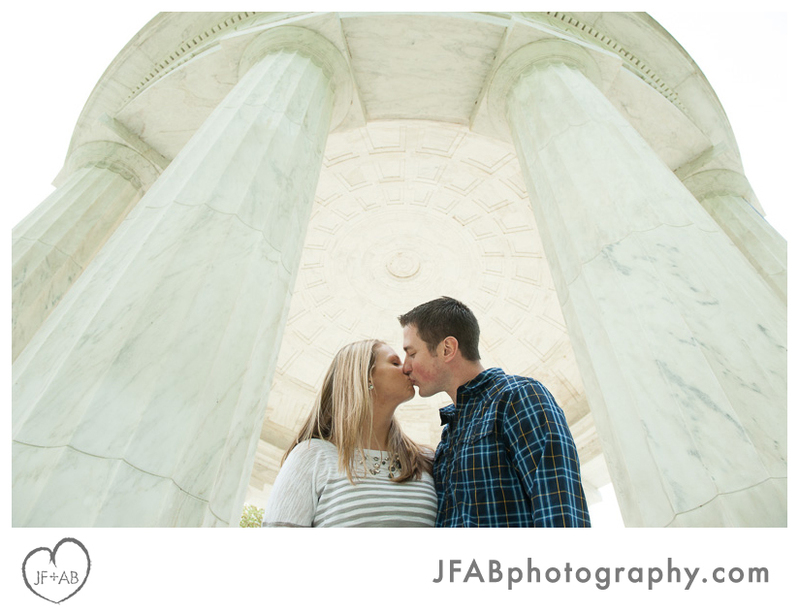 We found some interesting nooks and crannies around the National Memorials on the tidal basin, and though there were plenty of tourists on this fine day it felt like we had the park to ourselves. 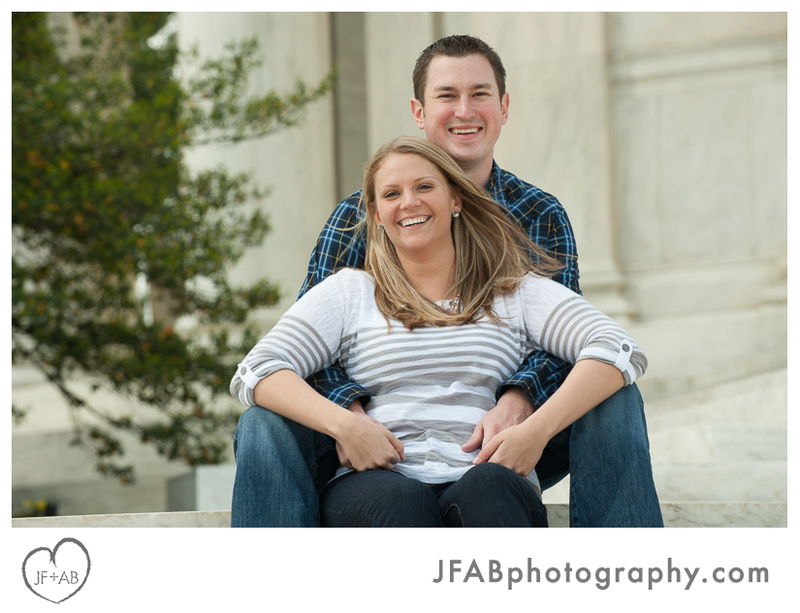 Looking forward to their wedding in October!